With only a few months now to go, I suspect you are all working through your training programs ready for the Half marathon in June. Just to let you all know we still have places in the run so if you have not yet registered please do so as we know places will start filling up in the next 4 weeks so get in now. The first Flaming June Half marathon is expected to be a great run with lots of fun. The Flaming June Half Marathon is run by Histon and Impington Friends of the Recreation Ground. 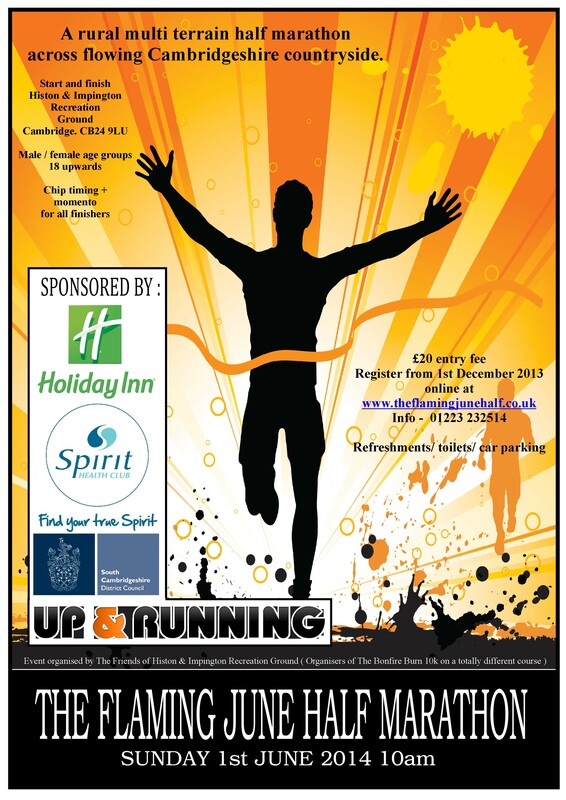 We run events to promote the development and awareness of Sports within the village while raising funds for the charity and other selected local charities. Copyright © 2019 The Flaming June Half Marathon. All Rights Reserved.